DOC, CAN"T WE JUST PULL 'EM ? DOC, CAN”T WE JUST PULL ‘EM ? Even after 30 years of practicing dentistry, it still surprises me to hear patients ask this question. But many, many people still do. I think it may have something to do with the way things used to be. There was a time long ago when the only solution to a tooth problem was to pull it. There were no true dental professionals and many barbers were trained to pull teeth. Eventually, dental schools were formed and the dental profession was born. Once dental researchers began to understand the nature of dental diseases, restoration of teeth and prevention of disease began to take place. It would be many more years before dentists were available to most of the population. My guess is that my parent’s generation was the first to have access to affordable dental care. I think most people in this country that are my age, probably had the chance to see a dentist as they were growing up, mainly because our parents knew the importance of keeping natural teeth they or their parents had lost. Today, virtually everyone has a chance to see a dentist and enjoy the benefits of preventing dental disease. And the best part is that 99% of dental disease is preventable! So, back to our discussion, years ago, most people would lose all or most of their teeth at some point in their lives. Today, it is possible for most people to keep all or most of their teeth for life! That’s a true paradigm shift! So “Can we pull ‘em?” Why sure we can. And some do. And once they are gone, they are gone. Then it’s time for dentures. And what’s wrong with dentures you say? 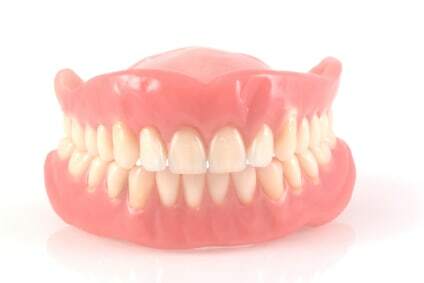 Well, current research tells us that over 85% of denture wearers had unrealistic expectations of what the dentures would be like when treatment started. I don’t know about you, but having 85% of your customers being dissatisfied with your service sounds terrifying to me! The bottom line is this: Prevention is the key to keeping your teeth for life. Prevention starts at a very early age (2) and continues throughout life. Restoration is inexpensive at an early stage of disease. And most people can afford prevention and early restoration. There is only one catch to the deal: You have to go to the dentist! If you have questions about whether or not a tooth should be pulled, or would like to schedule an appointment, please call us at 972-235-4767 or e-mail us [email protected]. We’d like to help you. Filed under Blog, Dental Health, Dentures . You can follow any responses to this entry through the RSS 2.0 feed. Both comments and pings are currently closed.